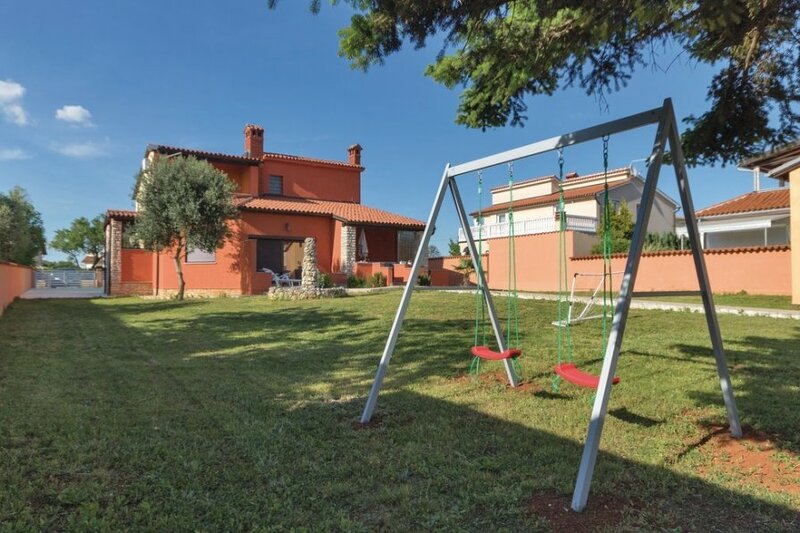 Spend a pleasant holiday in this beautifully furnished holiday home in the small village Valbandon, not far from Fažana. There are four bedrooms. Spend a pleasant holiday in this beautifully furnished holiday home in the small village Valbandon, not far from Fažana. 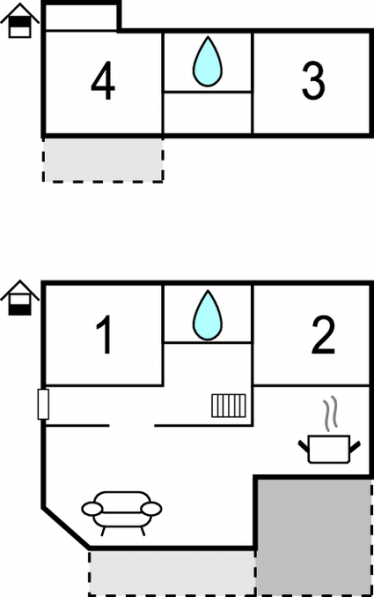 There are four bedrooms, two of which are on the ground floor and two on the first floor. The living room has access to the terrace where you can relax in the evening with a glass of wine. The lowest ceiling height is approx. 150 cm. The first beaches with a beautiful promenade are about 10 minutes walk away. The town of Fažana will delight you with gastronomic offerings and events during the summer months. Visit the Brijuni National Park and the city of Pula. This villa is made from brick or stone and was originally built in 1994 and refurbished in 2014. The agent has rated it as a three star property so it is a well-kept villa, equipped with standard furniture. It is also good value for money. The villaIt is located in Valbandon, only 6km from Pula. It is set in a convenient location, 1.3km away from a stone and pebble beach. There's also a restaurant only 150 metres away.